Boston music doesn’t begin and end with the J. Geils Band, Aerosmith, the Cars or the “More Than a Feeling” arena rockers named after the city. 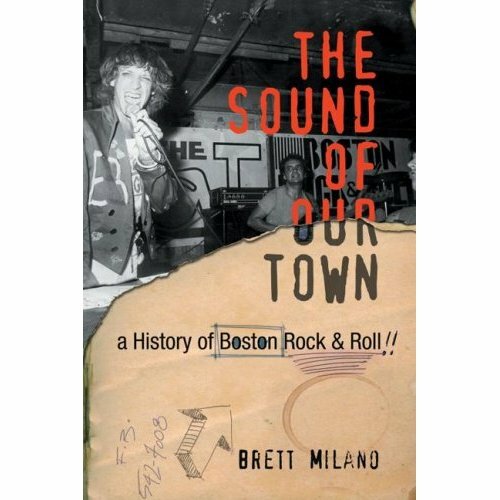 In “The Sound of Our Town,” a thorough look at the highs and lows of rock music in the region, Boston journalist Brett Milano reports that it all started with the G-Clefs. The Roxbury doo-wop band won over the tough audience at Harlem’s Apollo Theatre, and had a minor hit (“Ka-Ding Dong”) in 1956. The canon includes Freddy Cannon’s “Palisades Park,” and “Gangwar,” a dark rockabilly tune from New Hampshire native Gene Maltais. There’s also an early precursor to teen idols New Kids on the Block and n’Sync. Teddy & the Pandas began as a Beatles-era boy band. Later, along with Ultimate Spinach, Beacon Street Union and Eden’s Children, they were part of the forgettable “Bosstown Sound” – a record company executive’s misguided attempt to package the countercultural music of the time. The town’s most famous song didn’t even come from Boston. The Standells recorded “Dirty Water” in their hometown of Los Angeles, as a tribute to a band member’s Boston-born girlfriend. These and other interesting anecdotes pepper Milano’s well-researched book. It’s widely assumed, for example, that guitarist Tom Scholtz grew Boston like mushrooms in his basement. The band actually paid dues playing area bars for more than four years, evolving the songs from their multi-platinum debut album along the way. A Kenmore Square music club, arguably more famous than the bands that played there, also features prominently. The Rathskeller, known to all who cared simply as “the Rat,” hosted early shows by the Police, the Cars and Tom Petty, as well as the “Rock and Roll Rumble” – an annual talent show known as much for the bands that didn’t make it past the first round (Morphine, Mission of Burma) as those who won the competition. For much of rock’s early history, New England performers followed more trends than they set. Bands like Mission of Burma, Throwing Muses and Morphine started to change that in the early 80’s. But being a visionary didn’t guarantee success; quite the opposite. Though the Pixies are often cited as one of rock’s most influential groups, they didn’t sell many records until they reunited in 2005. One singer’s career ranges across most of the period covered in the book. “If the Boston scene has a single godfather, Willie Alexander is it,” writes Milano. In the early Sixties, a Rolling Stones appearance on the Mike Douglas Show inspired Alexander to quit Vermont’s Godard College, move to Boston and form the Lost. Over a long career, Alexander briefly played keyboards in the Velvet Underground, fronted the punk rock Boom Boom Band in the 70’s, and worked as a spoken word artist. He turned 65 this month, and shows no signs of letting up. Alexander also lent Milano his extensive memorabilia collection for the book. Though subtitled “a History of Boston Rock & Roll,” the city is really a focal point for the entire New England scene. The Shaggs, four Fremont, New Hampshire sisters who were browbeaten into performing by their overbearing father, are perhaps the strangest band of all. Most everyone agrees they couldn’t play or sing a note, but that doesn’t make them any less loved. G.G. Allin was both weird and dangerous. Milano calls the Lancaster, New Hampshire native “the most extreme rock monster who ever lived.” Allin died of a heroin overdose in 1993, after a career of shows that typically would only last as long as it took the police to shut them down. Rather than weave a narrative around his story, Milano’s book often reads like a long series of Wikipedia entries. This chronological, band-by-band approach drains some of the spark from “The Sound of Our Town.” But the book is still an essential reference for anyone looking to understand Boston’s contribution to the world of pop music.